There is probably no greater story in collegiate a cappella of close calls than the one involving the ScatterTones, our next ICCA Spotlight group. Each year, the talent of the coed group from UCLA is about as high as it can be. And when you've got as much talent as they're packing, well, it'll take you far. And boy have they gone far. 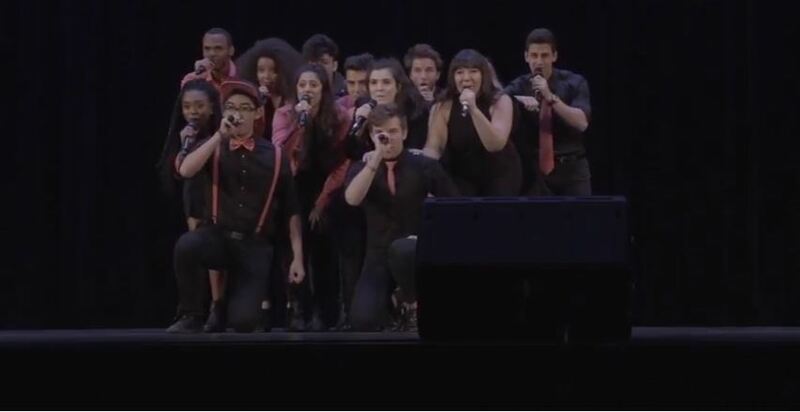 In the last five years alone, the ScatterTones have advanced to the ICCA Finals a whopping three times. But it gets even better, they've finished in the Top 3 each time. But wait, here's the shocker...the group took second place in each appearance! In back-to-back years from 2012-2014! I mean, how? This is a testament to how good they are and can be. Now, we take no bias towards any particular group, because all a cappella is good a cappella. But here's hoping that the ScatterTones bring back some of the magic from past years, which has boded well for them. See for yourself how good the group is in the video below of their set from SCAMfest 2016. We're willing to bet you've never heard Coldplay and Lionel Rich with the level of creativity they bring to each performance.